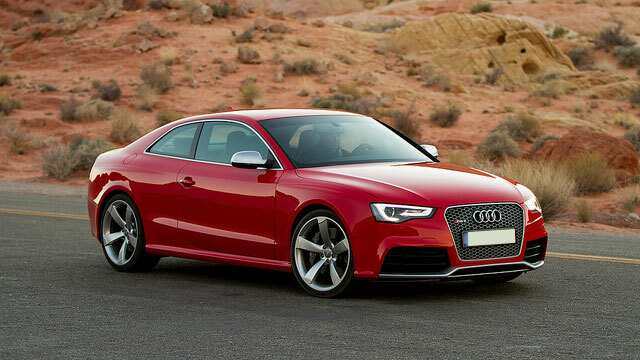 If you’ve got an Audi that needs auto repair, Gordie’s Garage in Roseville has auto mechanics that are up to the task. We ensure that our auto mechanics are always equipped with the latest auto repair equipment necessary to provide precise care to an Audi, and other European automobiles. Just let the crew at Gordie’s Garage have a look and get you all of the information you need to know to make decisions. While you wait, we offer a shuttle service around Roseville so that you can keep up with your life. We also have WiFi, coffee, and other amenities in our waiting room. An Audi is incredibly fun to drive, and Gordie’s Garage is here to make sure yours is fit enough for the road. Our auto mechanics love getting these great machines working their best, and they look great on the roads of Roseville. We’re proud to include a 24-month/24,000-mile warranty on our auto repair. Your Audi is covered here at Gordie’s Garage. After you’ve seen our skill with your Audi, we’re confident Gordie’s Garage will be your go to auto repair shop going forward. Our auto mechanics and advisors love building relationships, and now we have longtime clients coming from all over the Detroit Metro Area to our Roseville shop. Once you’ve felt our personal touch here at Gordie’s Garage, your Audi will feel like it has a second home. To book an appointment with our auto mechanics, call Gordie’s Garage at (586) 218-3819. Then take your Audi to our auto repair shop at 29046 Calahan Road, Roseville, MI 48066. Gordie’s Garage is the auto repair shop that will give you peace of mind about your Audi. Our auto mechanics will keep it ready for top performance on the roads of Roseville, and the Detroit Metro Area. We look forward to getting to know you and working with you, now and in the future.